The Supreme Court today refused to interfere with an order staying the ban announced by the Maharashtra government on sale of meat in Mumbai holding that the Bombay High Court gave extensive reasoning while staying the ban order. A bench of Justices T S Thakur and Kurian Joseph said it will not interfere with the order as the matter was yet to be finally heard by the High Court. The order meant that the people of Mumbai can buy and consume meat without any restrictions, for now. On a petition challenging lifting of the ban, the bench said these are not issues forced down the throat of anyone. A spirit of tolerance has to be inculcated." The court refused to interfere in the Bombay high court's order to put on hold a meat ban that was to be enforced today for the Jain fasting period of "Paryushan". The order was challenged in the Supreme Court by a Jain organization, which argued that the meat ban is a reasonable restriction, "keeping in mind the sensitivity of the people of a section of the society." "It is only an interim order and the ban expires today So you ( petitioner ) can go to the high Court," the Supreme Court told the petitioner. The bench however asked the high court to decide within six months whether the sale of meat should be banned during religious festivals. The meat ban in Mumbai, originally for four days, had led to protests and debate. It was challenged by mutton traders, who have said that the ban will badly hit their earnings. The ban during the Jain fast was introduced in 1994 by the then Congress government. Ten years later, the two-day ban was extended to four days but it had never really been implemented until the state government recently ordered a ban. Last week, the ban was reduced from four days to only one more day, today, by Mumbai's Shiv Sena-dominated civic body. 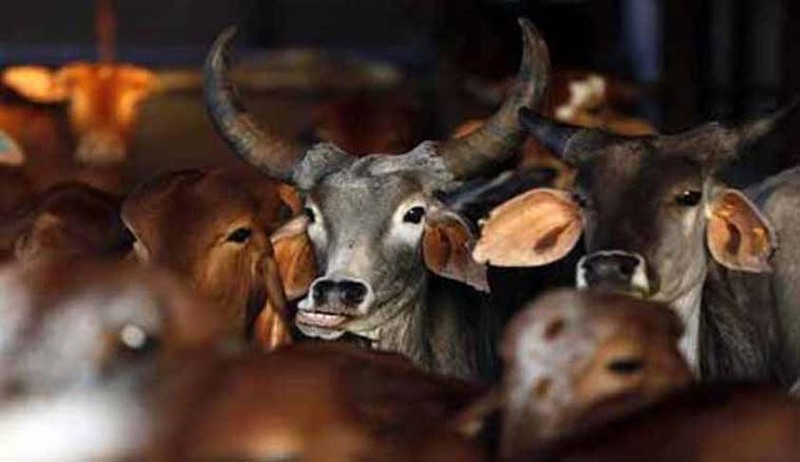 The Sena had opposed the ban, openly disagreeing with its ally, the ruling BJP, which wanted the slaughter and sale of meat to be restricted for eight days, not just four. "We are only going by law and not by sentiment and politics," said the High Court, adding, "People should know in advance aboard such bans. At the 11th hour it creates complications. Sudden imposition especially on eating habits is not correct." On September 14 the Bombay High Court had stayed the ban on sale of meat on September 17 during the jain fasting period 'Paryushan' ​and refused to interfere with ban on slaughter of animals on that day. The High Court also said that though the state government circular banning meat sale on two days was issued in 2004, it was never implemented fully. A division bench of the Mumbai High Court consisting of Justice Anoop Mohta and Justice AA Sayed had said it is to be remembered that Mumbai was a metropolitan city. They had said that such a straight jacket ban on meat could not be done. "Ban is on slaughter and sale of the meat. What about other sources through which meat can be availed? What about packaged meat that is already available in the market?" HC had asked the corporation why it had extended the ban to four days (Sept 10, 13, 17 & 18), when the government counsel clarified that the ban is not a new thing and a two-day ban is being imposed since 2004. The court had also asked if the Jain community had a problem, why a directive could not be issued against open slaughtering and display of meat in shops. Wrangling over the ban on sale of meat, Shiv Sena and Maharashtra Navnirman Sena ha taken to the streets to protest against it. The Raj Thackeray-led MNS set up a stall to sell chicken meat at busy Dadar area as a symbolic protest while Shiv Sena workers tore off notices put up by Municipal Corporation of Greater Mumbai. A similar ban has also been clamped on neighbouring Mira-Bhayander and Navi Mumbai Municipal Corporations.